Have you ever been on a food holiday? 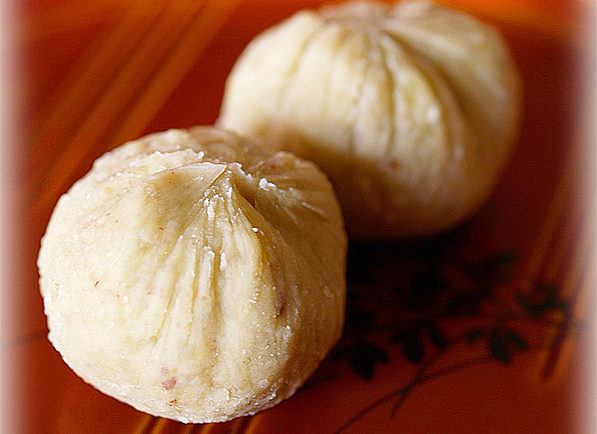 One where you travel around a country or region, trying all of the best and possibly most unusual local cuisine? In Japan, a food holiday could be one of the most adventurous things you will ever do, because every prefecture has different unique, unusual, and most importantly delicious, local cuisine. Let us take a look at five of Japan’s most well-known regional foods. 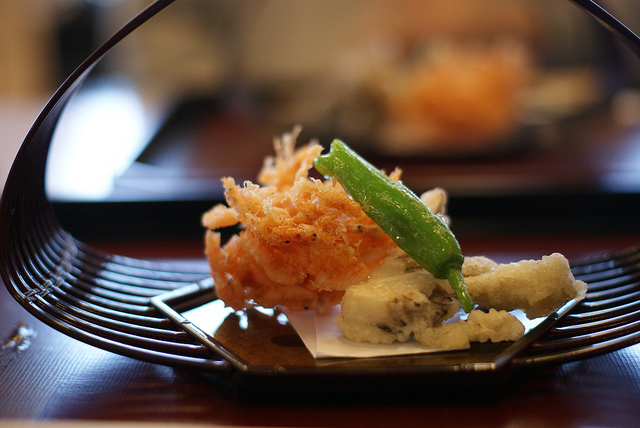 Hold onto your taste buds, Japan Centre fans, because these foods are sure to intrigue you. Before you panic, we can assure you that the Northern-most residents of Japan do not spend their time gnawing on 13th Century Mongolian military leaders. Genghis Khan, pronounced Jingisukan (ジンギスカン) in Japanese, is a mutton dish prepared on a special convex-shaped grill. 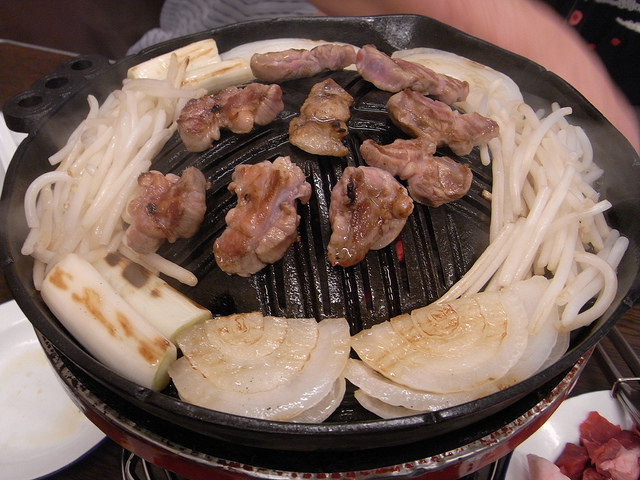 The mutton is grilled on the dome part of the grill, while bean sprouts, noodles and/or other assorted accompaniments are prepared along the outer rim. The dish gained its name, it is believed, because the Japanese think that lamb is the protein of choice in Mongolia. The special skillet also looks like the helmets Mongolian soldiers purportedly used to cook on. In Hokkaido there are specialty Genghis Khan restaurants everywhere, and we believe that no holiday to Sapporo is complete until you visit one and try this regional delicacy for yourself. This remarkable little dessert is simplicity itself. Kurikinton is a traditional confectionery (Wagashi, 和菓子, in Japanese) made of mashed up chestnuts seasoned with sugar and a little salt, then pressed into bite-size chestnut shapes using a small cloth. Authentically sold beautifully wrapped up in sturdy gift boxes, kurikinton are often given as souveniers (Omiyage, お土産) by Gifu locals when they visit other areas of Japan. There is another type of kurikinton, made from chestnuts and Japanese sweet potatoes, eaten nation-wide as a side dish during New Year celebrations. But do not be fooled, Japanese cuisine warriors. True kurikinton is a delicacy unique to Gifu. Loosely translated, sakuraebi no kakiage means “deep fried mini shrimp”. These shrimp, sakuraebi (桜海老), live in large numbers along the banks of Suruga Bay in Shizuoka. To make this delicious local dish, dozens of sakuraebi are mixed in a tempura batter, sometimes with assorted green leaves and vegetables, then quickly deep-fried into a jumbled mixed up crispy fritter. This simple recipe dates back over 100 years, and originally was only made when the sakuraebi were freshly caught and still clean, fresh and sweet. Nowadays, thanks to refrigeration, sakuraebi no kakiage can be made all the time, and it is served in restaurants and noodle bars all over Shizuoka. Possibly the strangest and most unappealing-sounding of the foods on this list, basashi (馬刺し) is raw horse meat, sliced thinly and served with soy sauce, chopped green onions and spices (just like other types of sashimi). Depending on what part of the animal the meat comes from, basashi can be completely lean, completely fatty, or a marbled mixture of the two. 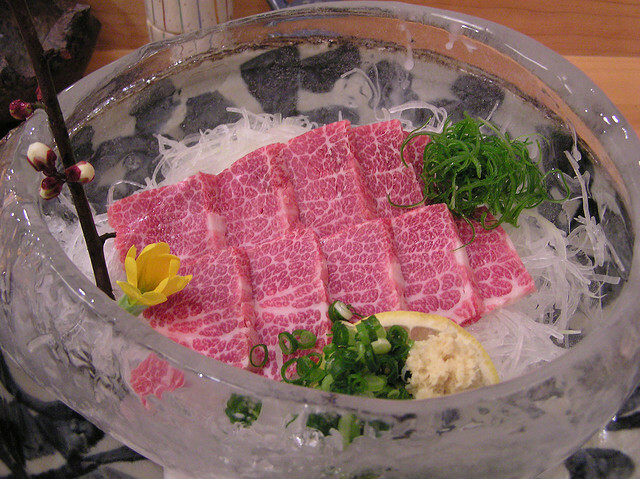 Although the concept might seem strange, in truth horse meat is quite light due to its high polyunsaturated fat content, as well as being low in cholestorol, high in protein and comparatively odourless, making it ideal for sashimi. It is also used in nigiri (hand pressed) sushi. We dare you to give this one a try! Okinawa has long been regarded as slightly different from the rest of Japan, and Okinawan cuisine is no exception to this idea. Despite being an island, fish-based cuisine is a relatively rare thing in Okinawa, and pork-based dishes tend to be more commonplace. Chanpuru (an Okinawan word meaning “something mixed”), is technically tofu combined with any sort of meat and vegetables then stir fried, but chanpuru with goya, or gourd (a type of bitter melon) has become the most well-known variation. 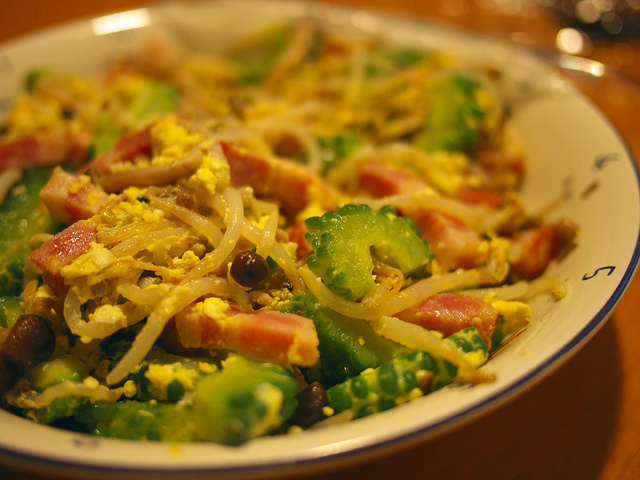 A combination of tofu, egg, bean sprouts, pork (or Spam) and, of course, goya, goya chanpuru is more of a home-cooked dish than a restaurant delicacy. It is possible to find it in local restaurants, but to get the authentic experience we suggest trying to befriend someone Okinawan and getting them to cook for you! 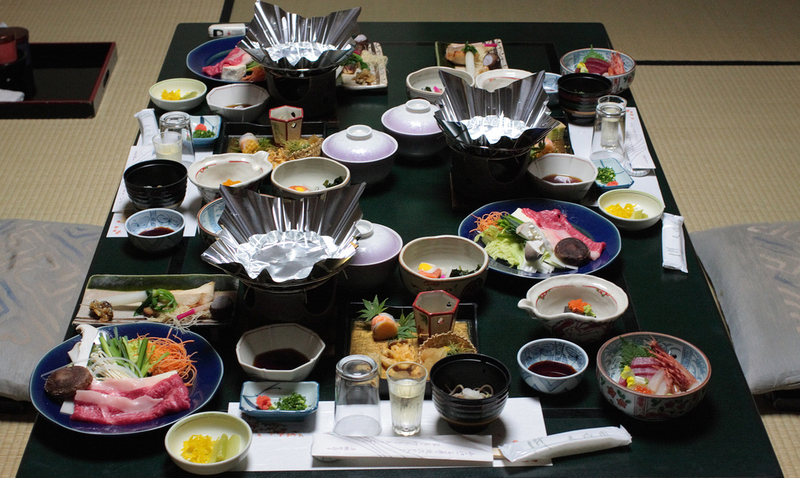 And now we would like to know, what are your favourite regional Japanese foods? Let us know by leaving a comment here, or on Twitter or Facebook. Posted in Food and tagged japan. Bookmark the permalink.